NiceLabel is a family of professional labeling software that provides for a complete bar code and RFID label design and printing solution to desktop, enterprise and mobile users. XML files, Oracle XML files, DDE, ActiveX (Automation) programming interface, command line, command file, e-mail message, data coming from a serial (COM) port or TCP/IP ports, unstructured files (report file, printer command file) and many others. 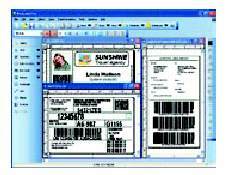 Essential for the labeling software is incorporation and support for various bar codes. 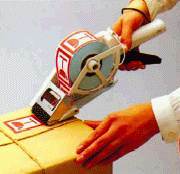 NiceLabel has meet all industrial bar code standards. Certified by Microsoft, Oracle and GM; Included support for standards like EAN.UCC 128, EPC, ASC (FACT), Transfer Syntax, HIBC, AIAG, ODETTE, GM1724, FDA 21 CFR 11 and many more. Argox, Avery, Blazepoint, Brady, CAB, Century, Citizen, Cognitive, Compuprint, Comtec, Datamax, Eltron, EPC, Etimark, Extech, Facit, Genicom, GOD BM, Godex, IBM, Ils, Intermec, Imaje, Italora, Lapis, Markem, Markpoint, Meto, Microcom, Monarch, MPH, Novexx, Printronix, QLS, Ring, Sartorius, SATO, TEC, Tharo, TSC, UBI, Unimark, Zebra, etc. NiceLabel software is in continual process of improvement and development and there will always be an opportunity to upgrade to newer version and more powerful edition. Support for new thermal transfer printers is constantly being enhanced with regular updates of NiceDrivers. New features, new translations, new drivers and things alike are being constantly added. Should you have any special questions or demands do not hesitate to contact us. You might find out that exact feature you are looking for is already incorporated in the updated version.